Synonyms: Rheedia laterifolia, Mammea humilis. Achacha is native of the Amazon basin of South America. It is a quite popular fruit in Bolivia where it is cultivated. The other name, achachairu means a honey kiss in Guarani language. 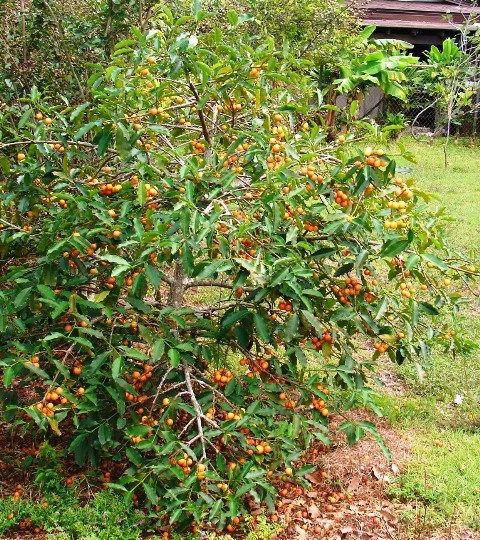 Achacha has also now been introduced into Australia and is being grown there in Burdekin area of Queenland. 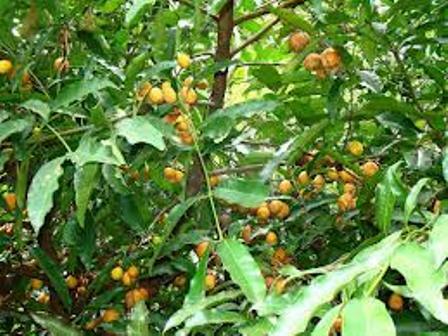 Achacha has now reached in all parts of the tropical world and is being grown by collectors worldwide in suitable tropical regions. A small evergreen tree, 5-12 m high with a pyramidal canopy. Leaves, glossy, darker green on top but lighter underneath, opposite, simple, thick, leathery, and brittle. Flowers cream or white, petals 4, hermaphroditic flowers15-35mm long, male flowers 9-12mm long; borne in groups of five. Fruit a roundish to pear-shaped berry, 4-6cm in diameter, 6-8cm long, orange or deep yellow when ripe, skin 2mm thick, firm and protective but easy to open; flesh pearly-white, separating easily from skin. Seed 1-2, large, brown. brown. The fruits are very tasty blend of sweet and sour. Some people even rate achacha higher than mangosteen in taste and flavour. These are eaten fresh. Skin is removed by scoring around the equator and separating the halves. Segmented fruit comes our easily from it’s soft encasing. 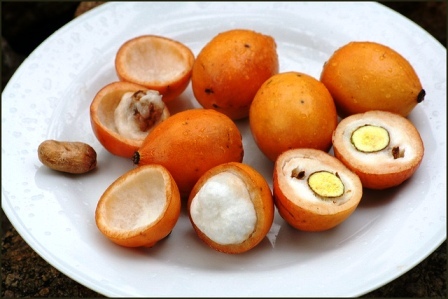 Though achacha is a close relative of mangosteen, but the skin of achacha is not bitter. Moreover and flavor can be extracted in a juicer and used to make a delicious refreshing drink by adding sugar to taste. Achacha fruit is also made into a refreshing drink and for that even the skin is also used. Achachas are also a rich source of essential nutrients like potassium and vitamin C. Thse are also one of the highest fruit sources of folate..
Achacha is basically a tropical fruit. Therefore it does well only in such areas. It is quite sensitive to cold. This fruit is intolerant of salt and mildly tolerant to drought. It seems to prefer slightly acid, moist and well drained soil having a good micronutrient supply. New plants can be raised from seed. Grafting of superior clones is possible on seedlings. The growth of young plants is slow to moderate during initial years. The trees start bearing after 4-5 years. Achacha fruit does not ripen further once harvested (i.e. once picked from the tree). They will, however, keep for weeks without refrigeration, especially when stored at their ideal temperature of between 13-15ºC. 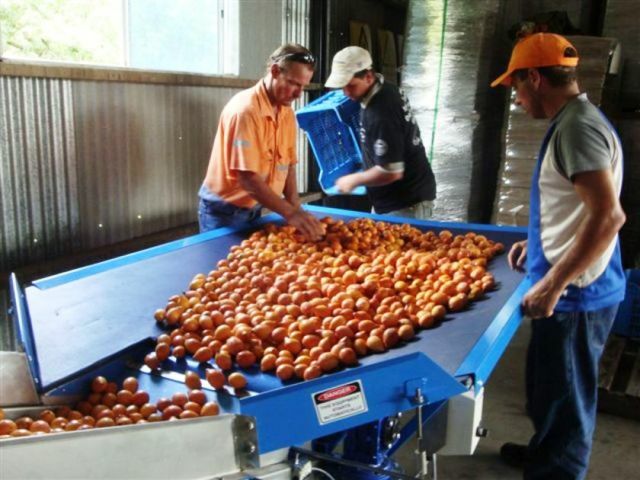 So always pick up the fruits only after they have developed the best quality. It is recommended to avoid refrigeration for extended periods of time and to store the fruits in the coolest part of your house. Achacha plants can also be grown in 25 gallon containers.